Discover worldwide flavours at Nelson Food & Drink Festival on Saturday 17 September. 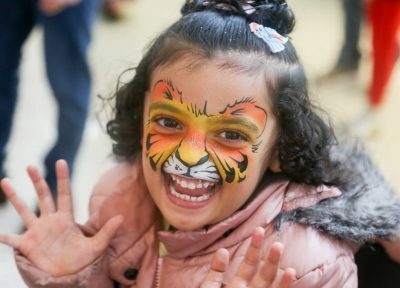 More than 30 stallholders will pack into Nelson town centre with their own style of delicacies created using inspiration from right across the globe. There’ll be Spanish tapas and paella, Italian doughball pizza and Greek olives – to name just a few. Spice things up a little more with Asian curries, and indulge in German sausages and burgers, or sample traditional Lancashire food with a twist. For those with a sweet tooth, there will be Asian sweets on offer, plus French style crepes, and traditional fudge. Not forgetting Slater’s ice cream, made in Nelson, just a stone’s throw from where the food festival takes place. Live cookery demonstrations in the demo kitchen alongside The Shuttle will keep audiences entertained in the heart of the town. 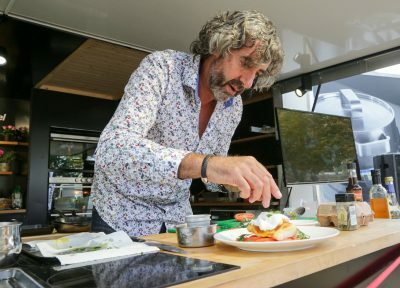 Celebrity chef Richard Fox will take centre stage as he prepares two meals to inspire the crowds to get cooking at home. Whitakers Arms chef Grant Smallridge will be cooking up a surprise dish too. Also on stage will be Pendle’s own food waste activist Gill Watson. 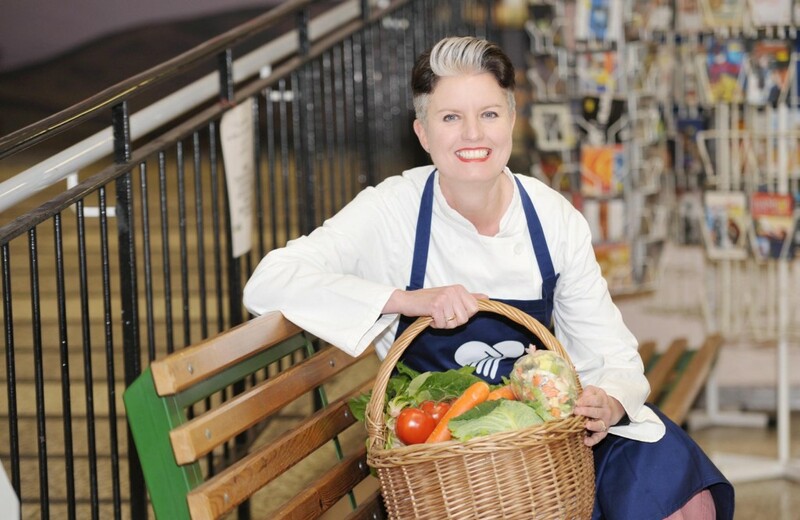 Gill, already very well known locally, is becoming a recognisable figure in the national food waste movement, taking on the big supermarkets over how they dispose of their surplus, edible food and tasking the government with making policy changes. At the event on Saturday 17 September, Gill will update the food festival crowds on her recent work. In addition to Gill’s food sharing hut, made famous by the BBC’s Inside Out programme, there is now a second food sharing site in Nelson. The Shop, in the former Nelson Post Office building and run by the arts collective In-Situ, offers free bread, pastries, fruit and veg which would otherwise have been thrown away by the supermarkets. There is also a ‘pay-as-you-feel’ café serving up fresh soups, sandwiches, cakes and pastries, made from produce that was destined for the bin. Gill’s talks on the topic of food waste and the challenges we all face to change our shopping habits always provoke lively debates. Her appearance at next weekend’s Nelson Food & Drink Festival is sure to be no different. 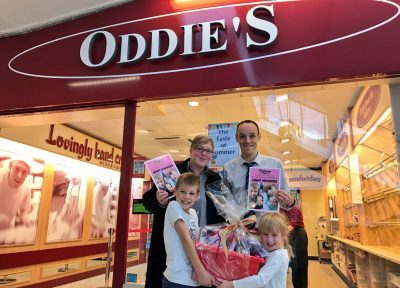 Elsewhere at the event, there’s so much for families to enjoy, including a children’s cupcake decorating competition sponsored by Oddie’s bakery. Catering students from Nelson & Colne College will be on hand to help out with the little ones’ cake creations. The best one will win a sweet hamper prize. For full details of the event, including the itinerary for the live shows, look out for the Nelson Food & Drink Festival flyer. It will be delivered to 23,000 local households in advance of the event on Saturday 17 September between 10am and 4pm. The leaflet can also be downloaded from www.nelsonfoodfestival.co.uk.